Braemar Shipping Services PLC joined the model portfolio way back in early 2011, just a couple of months after the portfolio’s inception. Although substantially different in detail, my investment strategy in 2011 was based on the same basic principles that I use today. In other words, I was looking for high quality dividend growth stocks which are available to buy at attractive prices. 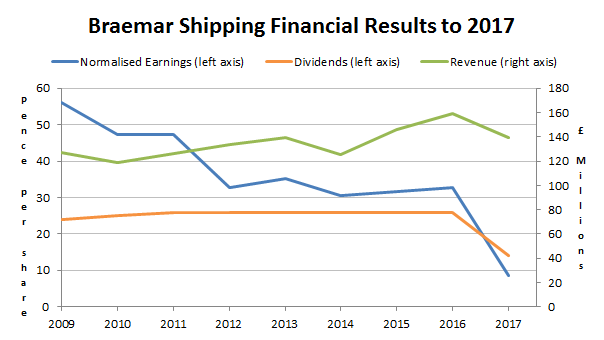 On that basis Braemar Shipping Services certainly fit the bill, with its consistent record of dividend growth, historic growth rate of more than 16% and dividend yield of 5.4%. Unfortunately, that attractive combination of high yield plus high growth did not turn into high returns for the model portfolio. Instead, Braemar’s financial results began to decline almost immediately. Selling on bad news is something I generally try to avoid. In this case, I was reluctant to sell Braemar as its main shipbroking and oil and gas services businesses are probably somewhere near the bottom of their respective cycles. However, I think Braemar could struggle to generate attractive long-term growth even when the oil and gas industry does recover, largely because the commodity super cycle seems to be well and truly over. Overall then, this was not a great investment; but it wasn’t a complete disaster either. And more importantly, learning lessons from the occasional poor investment is the best way to improve an investment strategy. The company’s results had stalled somewhat after the financial crisis of 2008/2009, but even there things didn’t look too bad. As the chart shows, revenues had quickly bounced back to an all-time high and the dividend continued to go up. Investors were cautious, as implied by the 5.4% dividend yield, but the dividend cover was over two and so I wasn’t desperately worried about a dividend cut. This combination of high growth plus high yield made Braemar look far more attractive than an investment in the FTSE 100 (at least on paper and ignoring the risk of investing in a single company rather than a diverse index). The table below shows how Braemar beat the FTSE 100 across all of the key metrics which I use today, so even though I didn’t use these metrics in 2011, if I did I would still have been very interested in the company. High growth, profitability and yield plus a low valuation, what could possibly go wrong? Those are the raw numbers, but what about Braemar as a business? In short, it’s a shipbroker which generates revenues by bringing together those who want tankers and other large cargo vessels, and those who have them. During the commodity super-cycle, which lasted from around 2000 to 2014, Braemar did exceptionally well as demand outstripped supply for tankers and other ships and their cargoes. The volume of transactions and the profit per transaction were at record highs, but Braemar’s management were sensible enough to realise that this wouldn’t last forever. To counteract the potentially enormous cyclicality of its core business (which I did not fully appreciate in 2011), the company diversified into the related areas of technical and logistics services. The company also had no debt and no defined benefit pension scheme, which is exactly what I’d want to see in a highly cyclical business. Overall then, Braemar appeared to be a high quality, high growth and high yield stock, so I added the company to my model portfolio and my personal portfolio as well, with a weighting of around 4%. There was only one significant event in this investment’s history, and that was the ending of the commodity super-cycle around 2014. But even before that Braemar’s performance had begun to suffer. The first major problems came in 2012. As is typical in capital intensive industries, there can be a long delay between an increase in demand and an increase in supply. Oil tankers, for example, do not simply materialise out of thin air. This delay also works in the other direction. Once there is a sufficient amount of supply, there may still be much more supply in the pipeline which is impossible to turn off. Again, you can’t easily stop building an oil tanker just because you realise that the world already has enough of them. This imbalance between supply and demand can lead to massive price and profit volatility for companies within the affected sector, and that’s essentially what happened to Braemar in 2012 when its shipbroking profits (which at the time made up more than 80% of the company’s total profits) fell by 50% in a single year. Following years of construction and a slowing global economy after the financial crisis, there were too many tankers in the world. That led to depressed tanker values and chartering rates and therefore depressed profits for Braemar’s shipbroking business. Today, more than six years later, those shipbroking profits have yet to fully recover. Fortunately the company’s policy of diversifying away from shipbroking worked. It’s non-shipbroking profits increased from £2.7m in 2011 to £5.6m in 2012, somewhat softening the £7.2m decline in profits from shipbroking. Investors were far from convinced though and the share price fell to 300p, giving the company a 9% dividend yield. That was a nice entry point for those who were brave enough to buy, because the dividend was sustained and the share price recovered massively. For a while, the company’s fortunes recovered too. Although the shipbroking business never seriously recovered, the technical services business had a fantastic run from 2014 to 2016, eventually becoming the largest profit generator for the company. But it didn’t last. Many of the company’s technical services are provided to the oil and gas industry, and when the oil price collapsed in 2014/2015 Braemar’s customer’s were hit. The reaction wasn’t immediate, but eventually companies across the sector started to cut back and Braemar’s technical services were one of the things that got cut. In 2017 the technical division made a £3m loss. So with the shipbroking profits on the ropes and no technical services profits to take their place, Braemar’s overall profits collapsed. The dividend became unsustainable and was sensibly cut. Of course, this is not a happy story, but I think Braemar did a reasonable job of keeping its dividend going for several years, despite the cyclicality of its end markets. With highly cyclical businesses, what goes up must always come down. In an ideal world I would like to hold on to Braemar just to see how the company fairs once the cycles for its shipbroking and oil & gas technical services businesses turn upwards. Will it be able to generate record profits and dividends once again, as it did at the top of the previous cycle? Or was that a once-in-a-generation commodity boom, the like of which we or Braemar may never see again? Who knows? I certainly don’t, and from where I’m sitting today it isn’t obvious why an investment in Braemar should beat the market over the next five or ten years. 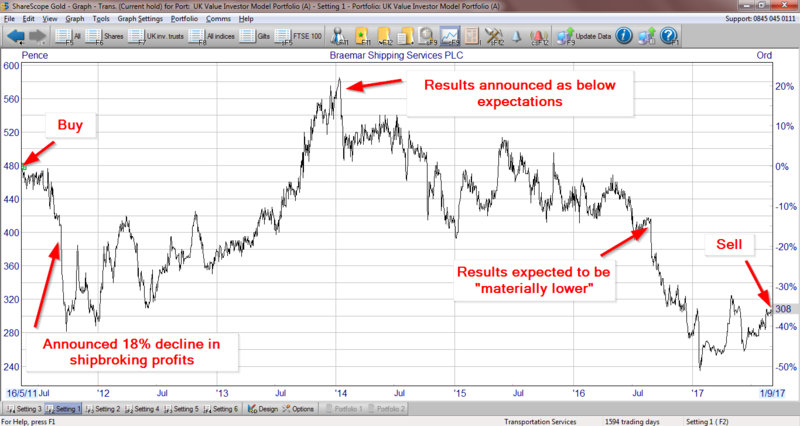 I don’t think it’s obviously likely that Braemar will grow its revenues, earnings and dividends faster than the market average, and I don’t think it’s obvious why the share price should outperform the market either (although of course, it could). At its current price of 300p, Braemar’s valuation ratios are slightly attractive relative to the market average, as is its post-cut dividend yield of 4.5%. But the company’s low rank on my stock screen implies that the combination of very weak financial results and only slightly attractive valuation are no longer worthy of a place in the portfolio. Overall, I think there are better places to invest the model portfolio’s capital. Having removed Braemar from the model portfolio and my personal portfolio yesterday, I’ll be looking to redeploy that cash into a hopefully better investment at the start of next month. The subtitle above is a less than subtle hint at the main lesson from this investment. Braemar had an impressive track record of steady growth, it had good profitability, no debt and no defined benefit pension scheme. The first is the capital investment cycle (or capital cycle for short), the second is the commodity cycle. The is often some overlap between the two, but they’re not the same thing. I’ve already described the capital cycle, which is caused by the extended time it takes to increase or reduce the supply of many types of capital asset. In this case, the supply of tankers (a capital asset) can only be increased through massive capital investment over many years, and once that supply is brought to market, it can remain in place for years even if supply eventually exceeds demand. This rule is designed to pick up companies that 1) have to invest heavily in new capital assets (capex/profit ratio) just to stay in business and 2) have recently gone through the expansion phase of the capital cycle (capex/depreciation ratio). Regardless of price I will avoid these companies. There’s a good chance they’re either at the peak of their capital cycle or are climbing up towards it, and beyond the peak it can be downhill all the way (or at least, downhill for a very long time). However, Braemar does not have to invest heavily in capital assets. As a shipbroker all it needed was some desks, some telephones and some brokers with excellent contacts, and none of those are capital assets. But capital assets (those tankers) were still a key part of its shipbroker business. It’s just that they were on another company’s balance sheet. The lesson here is to think about the capital cycle not only in terms of the company’s own capital expenses, but those of the markets and sectors it serves and is affected by. I didn’t have this rule back in 2011, but if I did then it would have flagged Braemar up as a high risk cyclical stock because both its shipbroking and technical services businesses are affected by commodity prices. But the rule doesn’t suggest avoiding these companies. It just says “be wary”, which means being extra careful with debt levels and similar risk factors, none of which were a problem with Braemar. Given these issues with how I look at commodity and capital cycle-sensitive companies, I think now is a good time to introduce a specific rule to limit any purchases of highly cyclical companies to somewhere near the bottom of the cycle. Currently I have another rule (as you can tell, I love rules) which says that I shouldn’t invest in a company if its PE10 ratio (ratio of price to 10yr average earnings) is more than 30. From experience I’ve found that this is a reasonable cut off, beyond which almost all companies will be just too expensive (except for the Amazon’s of this world, but they’re so rare that they’re not worth considering). Of course, investors don’t really want to buy companies cheap relative to past earnings, they want to buy companies cheap relative to future earnings, so looking at 10yr average earnings is simply a way to estimate future earnings. In other words, if a company is priced at more than 30-times its average earnings of the last ten years (which is a pretty high PE multiple) then today’s price is probably going to be high relative to the company’s average earnings over the next ten years. The only exception to this would be companies that are highly likely to more than double their earnings over the next decade, in which case the future earnings might be high enough to justify the current price. A typical example of this sort of stock would be Reckitt Benckiser (RB), which currently has a PE10 ratio of 32.5. Investors think RB can keep doubling in size every ten years, so they’re happy to pay a premium price which may (or may not) be justified. The problem with this rule of PE10 being below 30 is that I apply it to all companies, including cycle-sensitive companies like Braemar, BP, BHP Billiton or Rio Tinto, all of which are in my portfolio. During the upwards phase of the commodity or capital cycles these companies can generate very impressive multi-year growth rates, such as 15% in the case of Braemar, 18% for BHP and 14% for Rio Tinto. This can make it seem like a high PE or high PE10 ratio is justifiable. But can highly cyclical companies generate sustainable growth in the same way that Reckitt Benckiser probably can? Most cycle-sensitive companies can only produce high growth rates for relatively short periods of time, by which I mean not much more than a decade, and usually less. When the cycle turns, their profits collapse, or at the very least decline for several years. This means that above average PE10 ratios are unlikely to be justified because future earnings are unlikely to keep going up in a straight line. Perhaps more importantly, when the cycle turns downwards these cycle-sensitive companies can fall to incredibly low valuations. As a defensive value investor, if I’m going to buy highly cyclical companies I want to buy at the bottom of the cycle, not at the top. In the case of the cycle-sensitive companies that I currently own, they all fell substantially from my purchase price. In every case their PE10 ratios fell well below 10 at the point of maximum market pessimism in 2016, and most of them have since recovered strongly. This is a much stricter rule than the one I currently use. It would have forced me to buy companies like BP or BHP Billiton at much lower prices and much closer towards the bottom of their cycles. And if it means that I miss out on investing in some highly cyclical companies, then so be it. In addition to the PE10 rule, I also use a PD10 ratio rule (price to 10yr average dividend rule). The rule is not to buy a company if its PD10 ratio is above 60 (i.e. double the PE10 ratio limit, implying a typical dividend cover of about 2). Because highly cyclical companies often cut their dividends it’s important not to get too excited about high dividend payouts, especially close to the top of the cycle as they may not be sustained. Again, this is double the related PE10 ratio limit. This rule would have resulted in me investing in BP, BHP Billiton and other highly cyclical companies at much lower prices than my actual purchase prices. Doing that will make the previous rules easier to apply, and will probably pick up most of the highly cyclical but overpriced stocks. Overall then, I’m happy to have invested in Braemar, despite the weak results. I’ve learned a lot about investing in highly cyclical companies and hopefully these lessons will help to improve returns and reduce risk for my portfolio in the years ahead. Try to avoid buying highly cyclical companies near the top of their industry cycles. Instead, try to buy them near the bottom of the cycle or don’t buy them at all. 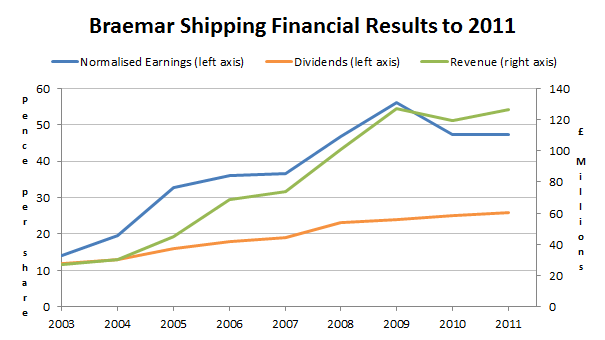 To be fair, I would have invested in Braemar Shipping from the perspective of a stock analysts. That was when I listened to an American Economist named Michael Pettis who said Iron Ore was going to crash to $40 back in 2010/11 (around that period). His overall opinion was based on China growing too fast, especially their investment and neglecting the demand side (consumption). Looking at the website it seems as if Pettis is still very focused on China! Personally I don’t do macroeconomics, hence my focus instead on buying a very low valuations as a way to hopefully avoid mistiming the cycle. Nice post John. I was looking at a cyclical resources company – actually engineering and services – over this week using your method. It’s PE10 is 13.7 and its PD10 just a touch over 16. It seems to be at the bottom of the cycle though, and Australia wide it appears resource companies might be starting to look toward greater operations (hiring staff, fewer layoffs, greater capex, re-opening mines etc). The company has a moderate dividend yield – slightly low earnings growth, 52% growth quality, massive median returns on capital (44% vs. 15% most recently or 38% average) and no pension scheme. 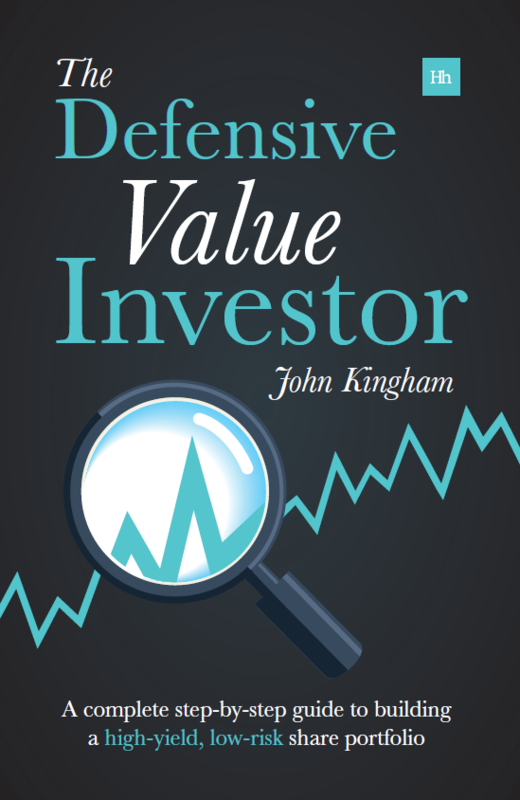 Out of the 30 odd stocks I’ve looked at so far as defensive value stocks, it’s ranked 7th. At the moment though, because my portfolio is in its infancy I probably won’t take the speculation (still studying the annual reports, so not sure either way). If it’s around at a similar or lower price in 6 months, I’ll revisit it for sure though the price has doubled in the past year it may (or may not) keep going. Hope your September is going well. Growth rate and quality are the most iffy metrics for highly cyclical businesses, just because they can vary so much at different points in the cycle. Using my approach they tend to only look attractive towards the top of the cycle, which of course is when you don’t want to buy these stocks (at least as a value investor). Hopefully the tighter rules on valuation will help, but only time will tell. I’m gradually warming to the idea of restricting the number of holdings that are obviously highly cyclical, primarily commodity sector stocks (i.e. LSE sectors of Mining, Oil & Gas Producers, Oil Equipment Services & Distribution). I might end up having a rule of holding no more than, say, three stocks across all these sectors combined, but I want to let these new valuation rules play out for a while yet (“a while” in investing usually means a few years!). I’ve always avoided commodity reliant stocks, part of me thinks it’s simpler to purchase the underlying commodity instead, at least this takes out company risks and maybe diversifies political/country risks to some extent. That said, I think there is a lot of opportunity in highly cyclical stocks so can see the validity in warming up to them. It might come down to a confidence in valuation/qualitative factors – which I don’t yet have. Thanks for the feedback on growth rate/quality – the earnings/revenues/divs look like a normally distributed curve with fat tails, which lends to your point about the growth rate/quality looking somewhat mediocre. What is the best way or working out where in the cycle we are when it comes to capital allocation and commodity prices? Good question. I don’t think I have a good way of working out where we are in these cycles. I can measure capex for a particular company and its peers, but for something like the tanker cycle I have no idea. I have looked at various reports and studies into the tanker cycle, tanker price/rate correlations and such, but nothing seemed to be useful from an investment point of view (at least for me). Given the difficulty of understanding where we are in these cycles, I would rather focus on having extremely strict valuation limits for cyclical companies. The idea is that the valuation limits are so restrictive that these companies are only every going to be at these low valuations when they’re at the bottom of the cycle. So in a way these valuation rules are my way of identifying relatively low points in various cycles. You could then expand your analysis to look at general news about the sector in question. If the news is all doom and gloom, that’s a pretty good secondary indicator of a cyclical low. There seems to be not as much demand for oil, it could be over supply, or electric cars. That may have had an affect on the stock had invested in. Will oil demand stay in decline, with solar, wind, natural gas and other energies..? Some are saying oil prices won’t return to the highs we have seen before.. This will probably affect stocks like this, that transport the fuel. Hi James, there are armies of analysts who look at this sort of thing. Or there are lots of other more bearish reports from those who prefer an oil-free future. My position is that in the long-run (perhaps 100 years) oil prices are likely to be permanently low as it won’t be a mainstream energy source. It will be used for industrial purposes (plastics, etc) but we won’t burn much of it, or need much. But exactly what happens to oil prices between now and then is anybody’s guess, especially since large amounts of the oil is in a few fields in the middle east, where we don’t have good data (as far as I know) on reserves. Generally though I don’t try to think about this sort of thing because it’s so speculative, and investing is speculative enough without getting into long-term macro-economic forecasting. LNG tankers: I assume so. Also, as an energy efficiency nerd, I think it will be interesting to see new ships being built to ever tighter fuel regulations, as is the case with cars and planes. Thanks for another very insightful piece…and for your honesty. We’ve all been there when you do all the homework, buy what looks like a defensive investment and then it falls apart. AMEC Foster Wheeler is my personal bete noire! Hi Steve, yes excellent points. The future is very uncertain so I like to think of each investment as a dice roll, loaded in my favour. If I roll one, two, three or four, I win. If I roll a five or six, I lose. In Braemar’s case I rolled a five, and lost. With my next investment I might roll a two and win. Although the exact outcome from any one dice roll is unknowable, I know that after ten or a hundred dice rolls it’s very likely that my wins will massively outnumber my losses. 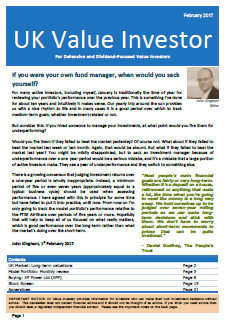 So losses are inevitable and, as you say, diversification is the best way to stop the occasional loss from excessively damaging the portfolio. Commodity prices are impossible to forecast, so I do not invest too much in this area. As South Arabian price said: we moved from the stone age, not because we run out of stones, but because of progress. My view is that not all oil & gas that was so far discovered will be taken out of the ground. However these reserves are built in Shell, BP, Aramco (very close to an IPO now) valuations. I only have a small position in an aluminium producer. It seems more car producers prefer it thia days, but probably this will change too.